Try something new with this different take on a tasty holiday meal. Turning the heat down can add so much flavor when prepared correctly! Whether it's Easter, Christmas or Thanksgiving (or even a romantic evening!) 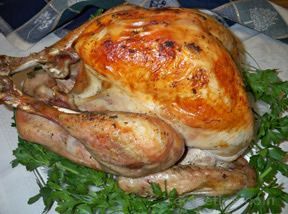 make it special with this Turkey holiday recipe. Dissolve honey and wine together. Add ginger root. Season with salt and pepper. Pour honey-wine mixture over turkey. 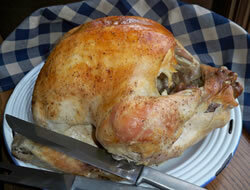 Cover pastured turkey loosely with foil to prevent burning the skin. Cook at 350° for 25 minutes per pound. Baste every 30 minutes. When done, you will have a delicious looking dark brown glaze. 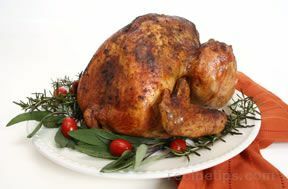 Serve with stuffing or any other traditional Turkey classics you would enjoy in YOUR home for the holidays!